Hump day and pâte à choux. My camera lens must have been smeared with pastry cream – hence a dozen blurry and unusable photos. This one was the best I could muster. 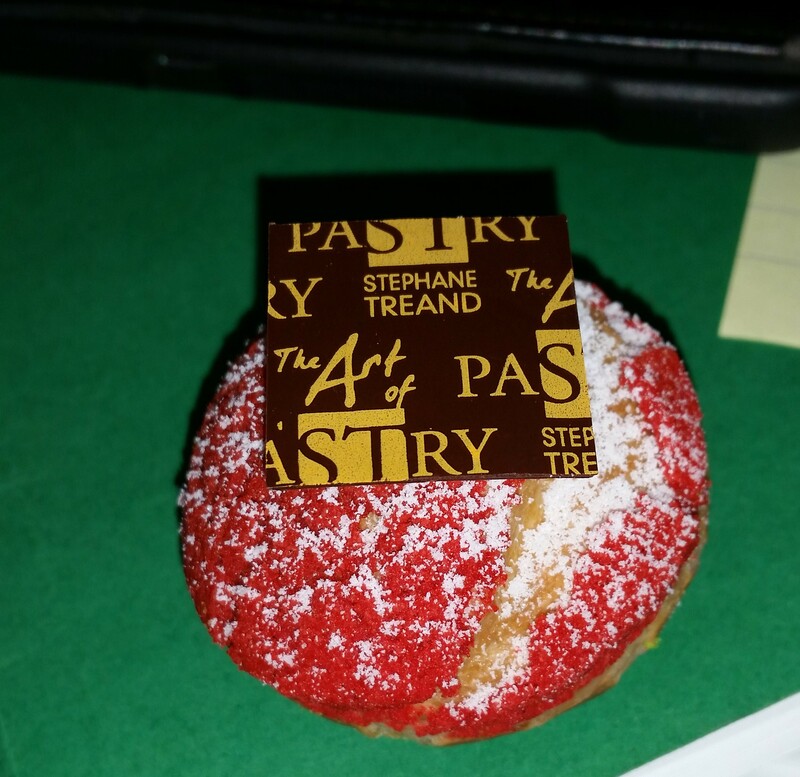 Until now, I’ve been rather covert about the school’s location, but I’m confident the chocolate decoration has given me away: http://www.stephanetreand.com My favorite pastry-o-the-day was the coffee éclair. They’re sure to make a reappearance for some well-deserving recipients. This entry was posted in Dessert and tagged choux puff, coffee eclair, cream puff, Culinary School, Pastry School, pate a choux, Stephane Treand, stephanetreand.com by Julie "Phoren" Seyler. Bookmark the permalink.